On May 17, Hornblower Cruises & Events will host its 14th annual “Pet Day on the Bay” to benefit the Helen Woodward Animal Center (HWAC), a local nonprofit that provides care and comfort to orphaned and injured animals. 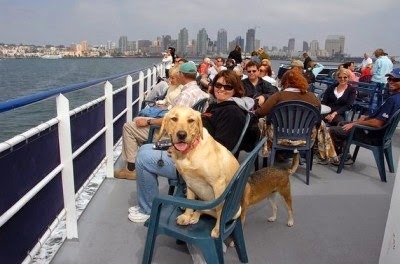 On this special day each year, dogs are welcomed aboard to enjoy a fun-filled harbor cruise with their owners. These one-hour cruises offer breathtaking views of the San Diego skyline and storied landmarks, as well as a chance to experience delightful marine animals and majestic sea birds up close. A special smorgasbord, sponsored by Petco, will pamper pups throughout the cruise with a variety of mouthwatering treats. Experts from Petco’s dog training department will share helpful advice and suggestions for dog owners wanting to brush up on their pet handling skills. In addition to the proceeds from ticket sales, passengers are asked to bring sorely needed blankets and towels as to further assist HWAC’s animals in need. Reservations are now being accepted for the three one-hour cruises scheduled on May 17, departing at 9:30am, 11:15am and 1:00pm from the Hornblower ticket booth located at 1800 N. Harbor Drive. Boarding begins 30 minutes prior to departure. Tickets are $23 for adults, $11.50 for children ages 4 to 12 and $21 for seniors and the military. Children three and under are free. Each adult passenger is invited to board with one dog, and canines must be kept on a leash throughout the cruise. 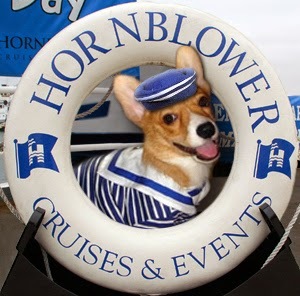 To make reservations, visit hornblower.com/port/overview/sd+petdayonbay.